They’re unlikely voices against racism. But circumstance forced three England players to become just that, confronted with yet another round of racist jeers as the Three Lions demolished Montenegro 5-1 in Euro 2020 qualifying in Podgorica on Monday. Several England players, England manager Gareth Southgate and Mirror journalist John Cross all said they heard monkey noises aimed at England’s black players emanating from the stands. Cross reported that Montenegro manager Ljubisa Tumbakovic and the Montenegrin federation then claimed that nothing had happened. But they knew what they heard. Rose was visibly upset. And Raheem Sterling and Callum Hudson-Odoi spoke up. As did their manager. 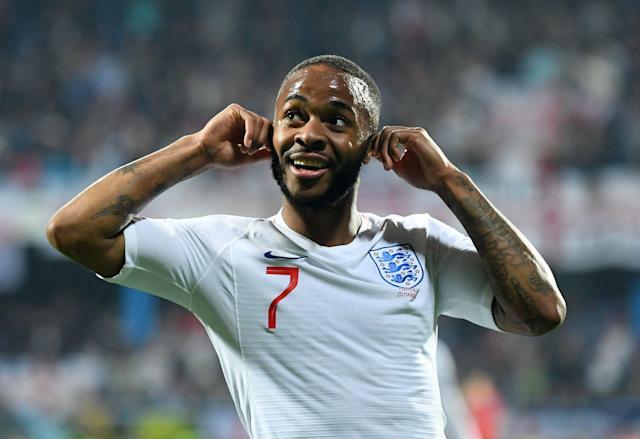 Sterling, upon scoring the fifth England goal in the 81st minute, celebrated by demonstratively pulling out his ears to indicate that he’d heard the racist chanting. Sterling, who once kept a low profile with an English press corps that had been harshly critical of him since he was a teenaged prodigy, has remade himself as a leader on this issue. Late last year, he wrote a long post on Instagram calling out the blatantly racist coverage of young black players by tabloids like the Daily Mail. The 24-year-old Manchester City forward then elaborated in an interview with the New York Times earlier this month. That was after he’d been the target of racial abuse at Chelsea’s Stamford Bridge, clearly visible to TV viewers, in an incident that rocked English soccer yet was somehow also dispiritingly familiar. It was hardly the first time in his career that such a thing had happened. Rose, for his part, had previously supported Sterling publicly. And then Hudson-Odoi, just 18, was asked about it after his sensational first start for England. He’d likely sooner have thought about other things, like his stunning ascent, but gave an incredibly composed and mature interview on the racism he’d encountered to BeIN regardless. 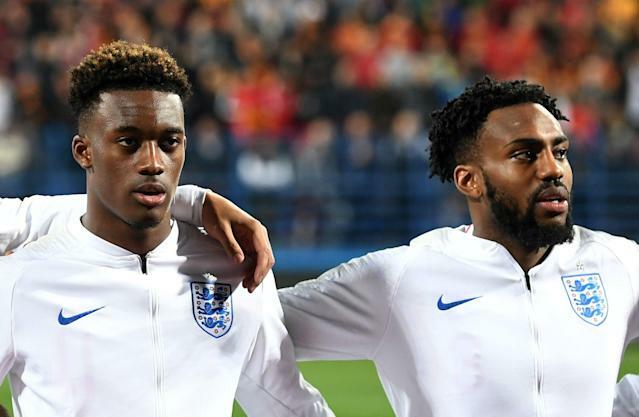 Hudson-Odoi then revealed that Sterling and Rose had actually prepared him for this, telling him that he should expect it sooner or later and that it was “part of football.” This, in and of itself, is a grave indictment of the sport. Evidently, veteran black players feel a responsibility to brief their younger peers about the racism they’ll inevitably face. But England took the opportunity to make a larger point about institutional failure. Southgate and Sterling both pointed out, quite rightly, that England hasn’t yet conquered this issue either. Indeed, it’s a stain on soccer that isn’t particular to any continent or culture. Recently, a Brazilian player was racially abused in Bolivia and walked off the field by himself, with neither the referee nor any other players joining him. It shouldn’t be up to abused players to call this stuff out. Sterling shouldn’t need to take the lead on this. Hudson-Odoi’s scintillating performance shouldn’t have to be overshadowed by so much ugliness. Southgate, an ill-equipped soccer manager coping with this debate admirably nonetheless, shouldn’t have to chime in on discrimination. But then the abdication of responsibility from the governing bodies is such that it’s left up to the players to adjudicate these matters on the field. UEFA very rarely imposes more than a nominal fine for racism. FIFA disbanded its anti-racism task force altogether in 2016, declaring that its work was “completely fulfilled” even though it hadn’t met in more than a year before it was broken up. This was after then-FIFA president Sepp Blatter once declared that a player racially abused by an opponent should shake the hand of his abuser after the game. There is no leadership on the fight against racism from the top. And so it’s left up to young black men, victims of bigotry in their line of work, to champion their own cause. And that, above all, is a grievous wrong. It’s bad enough that black players are still targeted by racism. It’s worse still that nobody in a position to do something about it will stand up for them.